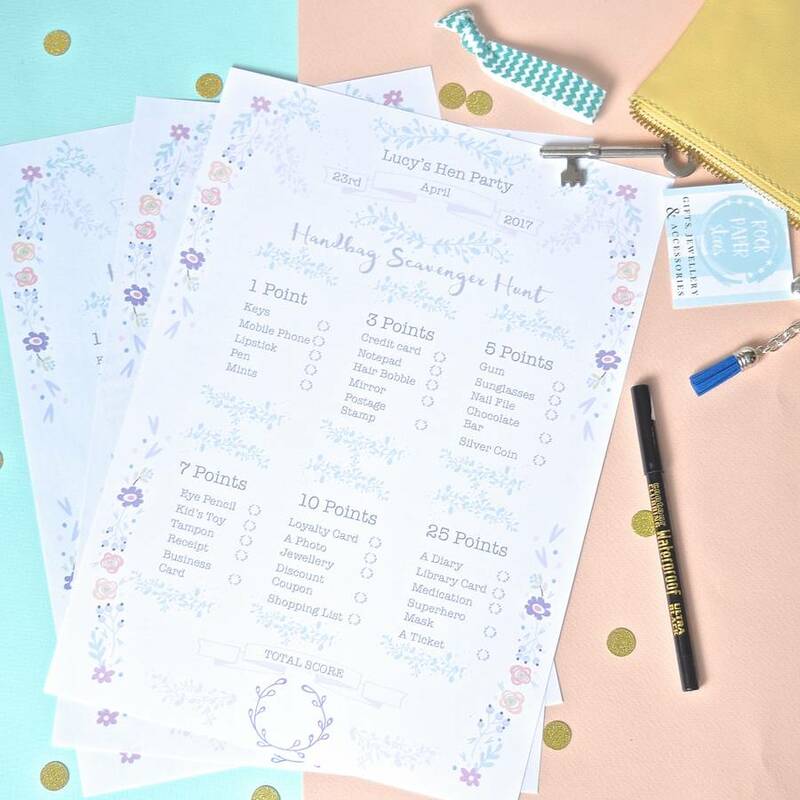 Our hen party Handbag Scavenger Hunt is the ultimate, easy-to-organise, hen do activity! 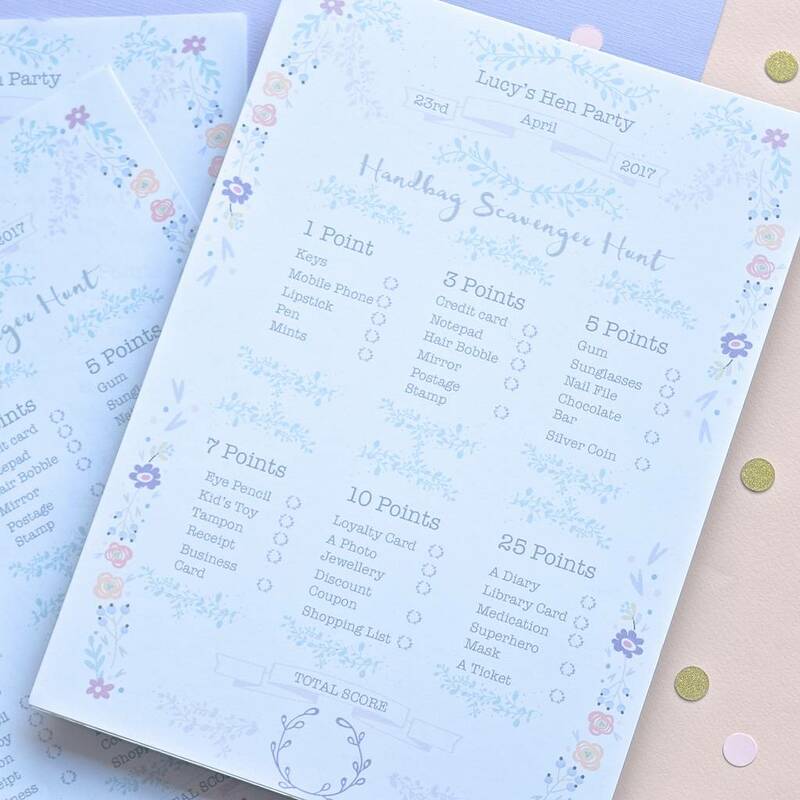 A hen party game for 8, for the price of a cocktail! 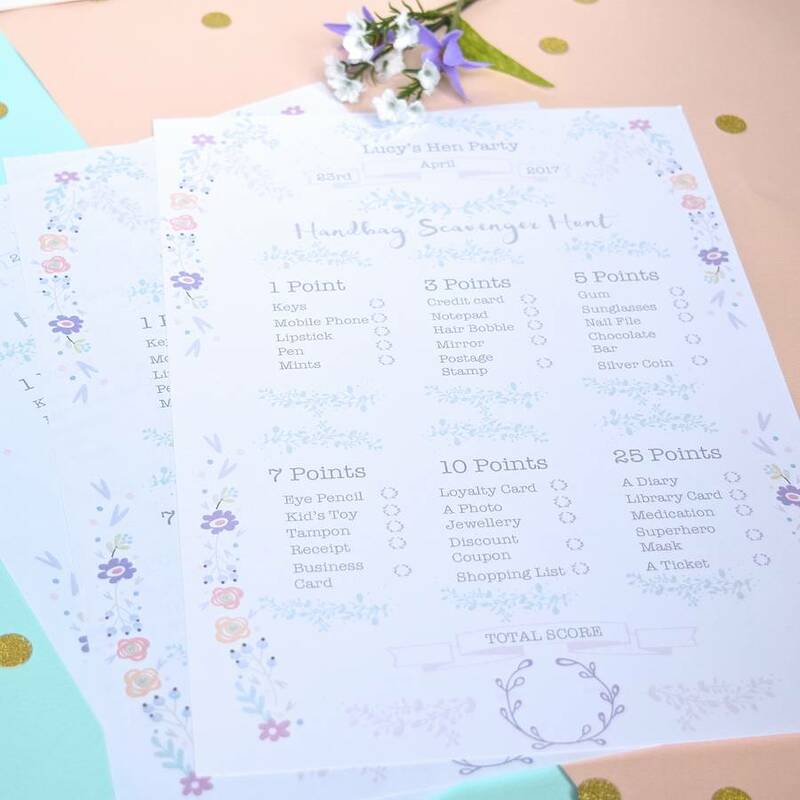 A fun and cost effective hen party activity, with just a little bit of competition thrown in! A great way to break the ice at the start of your hen party celebrations. Personalised with the bride-to-be's name and the date of the hen party, the Hen Party Handbag Scavenger Hunt comes in a contemporary pastel floral design. 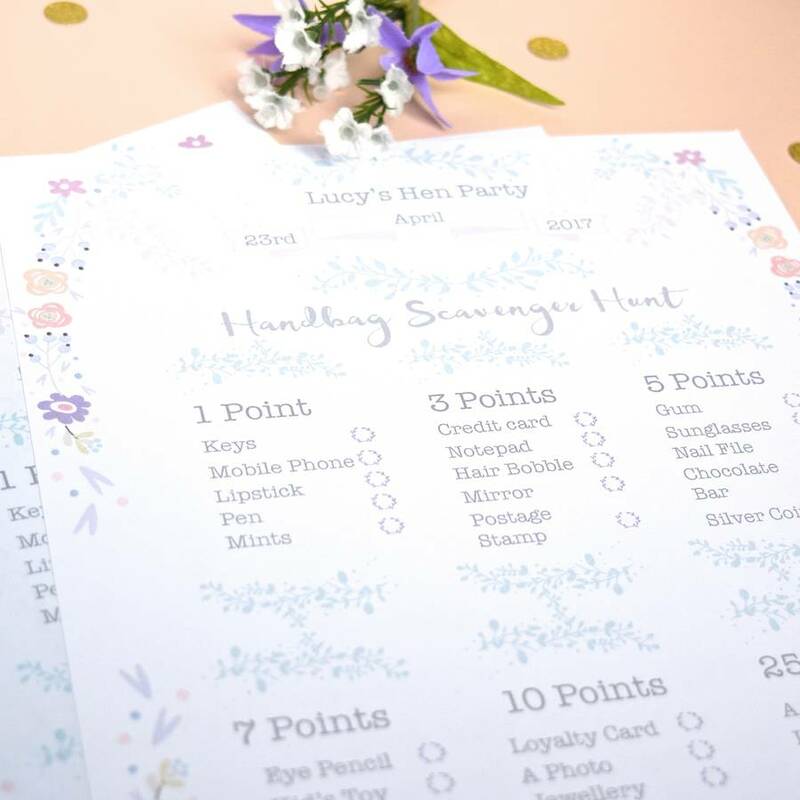 Each hen party guest has a good old rummage in her handbag to see if they can find the items listed on the sheet, socring points for each item. A fun way to kick-off the hen do celebrations. Suitable for 8 players (additional game sheets can be purchased). A hassle-free, hen party activity to organise and play, particularly suited to a hen night or afternoon tea hen do!